I’m not very good at Hearthstone. 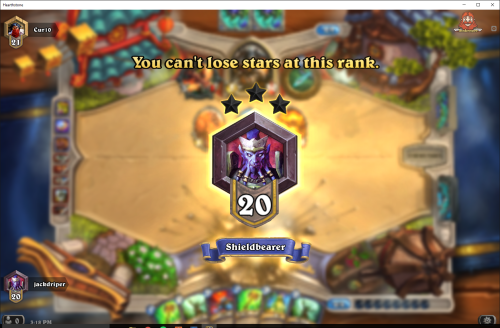 I have probably spent 90% of my play time at rank 20 (and 9% in ranks 21-25). But I think it’s time to change that. I treat HS deck building kind of like cooking: a recipe/netdeck is inspiration first and guidance second, but never a set of rules. Often I’ll have to improvise due to missing an ingredient or messing something up, so I like to use my own judgement and experience to stay flexible rather than follow the recipe to the letter. This probably is why I’m not very good at HS and why I can’t seem to get Indian food right. So today I installed Innkeeper and hit up Hearthpwn to check out the best deck I could make with the cards I had. I found this one that was well reviewed and only required 40 dust on top of my collection. But it wasn’t in standard, so I hit the improvisational stage. I decided to focus the deck around big dudes + windfury + rockbiter weapon as a finisher. Everything else is used to control the board and keep myself and the big dudes alive for the combo. Biggest problem so far: aggro. It has no sweepers. 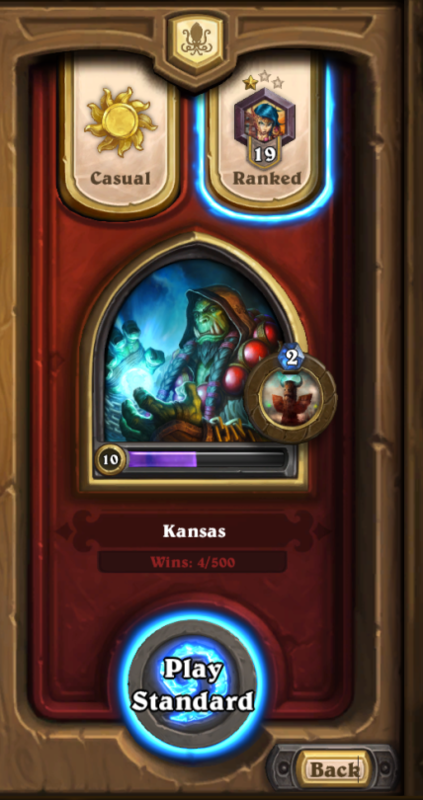 Rank 19 today, legend tomorrow? I’m going to miss the blob emoji as they exist in Hangouts. They just have so much character and emotion and it just won’t be as fun using the lifeless iOS-like faces. 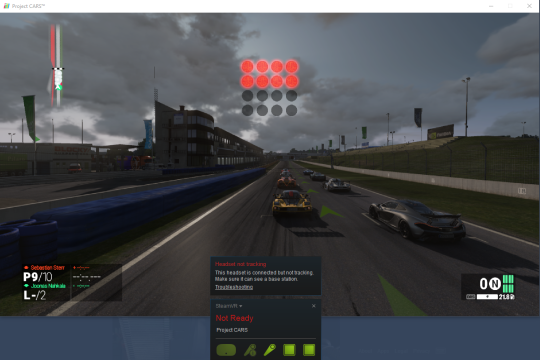 I played Project Cars on the Vive last night. The visual immersion was cool, but what really made it was how each car felt to drive. It was a physical experience– I could feel each turn in my chest– and it gave the cars a weight that I’d never experienced in a game before. The weight distribution of the mid-engine BMW M1 (badass) felt different than the front-ish FR-S (also awesome) and the very front biased AMG SLS (oh god how do I control this thing). The graphical fidelity just wasn’t super great, since even on my 980ti I had to turn settings down quite a bit. But the physical immersion was incredible and I’m about to fire it up again.